You can learn more about the origins and history of the Scottish Rite at the Supreme Council’s website. A Scottish Rite chapter is called a “Valley”. Each Valley has up to four Scottish Rite bodies, and each body confers a series of degrees. 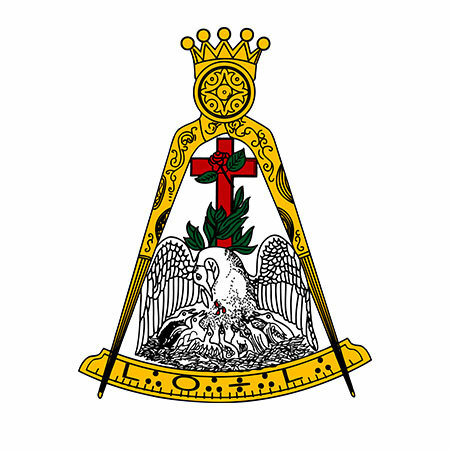 In the Southern Jurisdiction, USA, these are the Lodge of Perfection (4° – 14°), the Chapter Rose Croix (15° – 18°), the Council of Kadosh (19° – 30°), and the Consistory (31° – 32°). The Supreme Council alone confers the 33rd Degree, Inspector General Honorary. The Los Angeles Bodies were organized in 1885 at 125 North Main Street. Albert Pike’s desire to establish the Scottish Rite in all parts of California led to a organizational meeting in the “City of the Angels”, a small town of about 12,000. Pentalph Lodge No. 202 on Main Street was the scene of the constitution of King Solomon Lodge of Perfection No. 14, Robert Bruce Chapter of Rose Croix No. 6 and the Hugues Despaynes Council of Kadosh No. 3. The Bodies met at the Main Street Location for less than two years when they moved to First and Spring Streets where they held meetings for the next ten years. In spite of the losses to Santa Barbara (1931) and Bakersfield (1945) when they were instituted, the growth continued. The membership in 1950 reached 7,378 with a Reunion Class of 300. It was time for another new Cathedral. After diligent search was made the Rite purchased four lots on Wilshire Boulevard to build it. The Cathedral, four stories high, with an exterior of Italian Travertine marble, embellished with mosaics and gold lettering and adorned with eight 15 foot statues is, indeed, a monumental edifice. On April 28, after 55 years at the Hope Street address, the first Stated Meeting of the Rite was held on there October 6, 1961. It is quite natural that the Los Angeles Bodies are deeply involved in theatrical and musical performances. An orchestra had been established as early as 1911 and the Scottish Rite Male Chorus held its 40th birthday in 1955. The Scottish Rite Players staged many productions for the entertainment of the brethren and their families. The one day class of 330 candidates in November, 1974, brought the membership to over 11,000. In 1980, Los Angeles was the largest Valley in the second largest Orient of the Southern Jurisdiction, and the 14th largest Valley in the Jurisdiction. The Los Angeles Scottish Rite Childhood Language Center was dedicated in March 1977. By September of that year, it was necessary to expand the center’s schedule from three days a week to five due to the increasing number of children who needed treatment. Learn more about the activities of the Los Angeles CLC today. Due to zoning changes in Los Angeles over the years, it was increasingly difficult — and finally impossible — for the Valley to generate the revenue from renting the Cathedral necessary to maintain the building. It eventually became unavoidable that the building should be sold, which was accomplished in 2013. The Los Angeles Valley currently holds most meetings and events at the Santa Monica Masonic Center, in Santa Monica, California.